Choosing in introductory text to a subject is a very important decision, as it can set the tone and pace at which a person learns or absorbs the material. A poorly written or uninteresting text can put a student off from the subject entirely, while a well written and interesting book can endear the subject matter to the student and make further learning easier than it might otherwise be. Most text books are written with an eye to this, breaking up text with images and charts, keeping the work visually interesting and engaging for students. Concise. The book should be able to relate the information in an interesting fashion, without being boring for the reader. Well Formatted. Any introductory text should not be page after page of unbroken text, but should be broken up by section headings, by side bars and by other such items that allow us to keep track of the text on the page without our eyes skipping over important bits. Complete. A book that references but does not explain a point, acronym or concept is simply confusing to the reader and leads to a sense of confusion. There are many introductory texts for the FOREX financial field to choose from, written by a bewildering array of experts, ideologues and professionals. After looking across the assortment available, we have chosen two to single out as, by user reviews, particularly good for the introductory reader. According to several reviews, this book is ideal for getting the 'big picture', an overall understanding of FOREX trading. The chapters are concisely written with clear examples, but are not cluttered with useless stories. The information is not obscured in overly complex jargon. 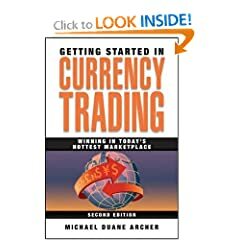 This book makes it easy for a layman to plan the steps necessary to start trading. By Gary Tilkin and Lita Epstein. 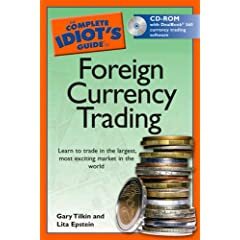 The Complete Idiot's Guide to Foreign Currency gives the reader an overview of FOREX and the organizations that dominate the industry. This book contains a history of how FOREX started, an overview of the critical concepts you need to master and how to find the most current, relevant information about currency, both on the internet and in print publications. This book also includes a free sample of the proprietary software system developed by the authors to assist with the trading and understanding of the FOREX system. The choice of book is a personal one, and it is suggested that any reader take the time to pick up and review several volumes of their own before making a decision.